2017 Gray Gaulding #23 Dr Pepper / Toyota Camry NASCAR diecast, by Action. 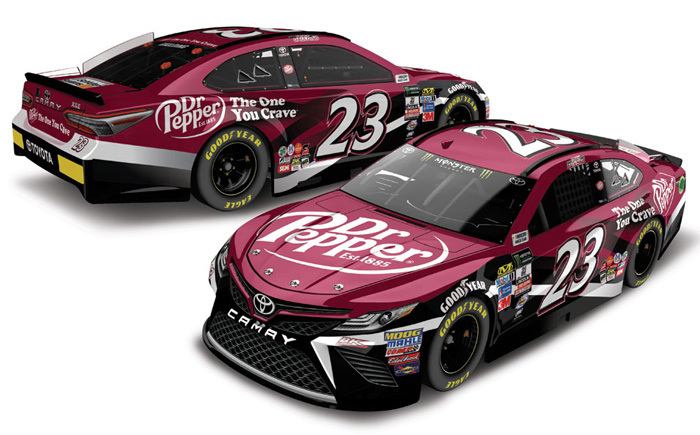 The BK Racing #23 Dr Pepper Toyota was raced by 18-year-old Gray Gaulding during the 2017 Monster Energy NASCAR Cup season. Autographed - This diecast car was autographed by Gray Gaulding, on the windshield in Silver. Includes an Action Racing Collectables certificate of authenticity. 2017 Gray Gaulding #23 sweetFrog / Toyota Camry NASCAR diecast, by Action. 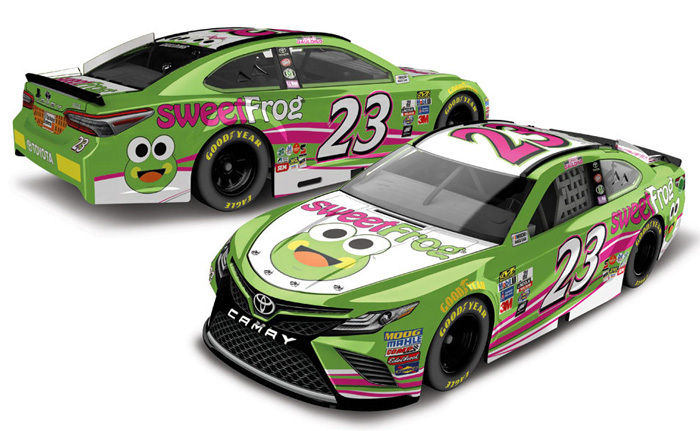 The BK Racing #23 sweetFrog Toyota was raced by Gray Gaulding in select events during the 2017 Monster Energy NASCAR Cup season. 2017 Gray Gaulding #23 SunFrog.com / Toyota Camry NASCAR diecast, by Action. The BK Racing #23 SunFrog.com Toyota was raced by 18-year-old Gray Gaulding in multiple events during the 2017 Monster Energy NASCAR Cup season. This diecast car will not have the Monster Energy decal on the windshield. 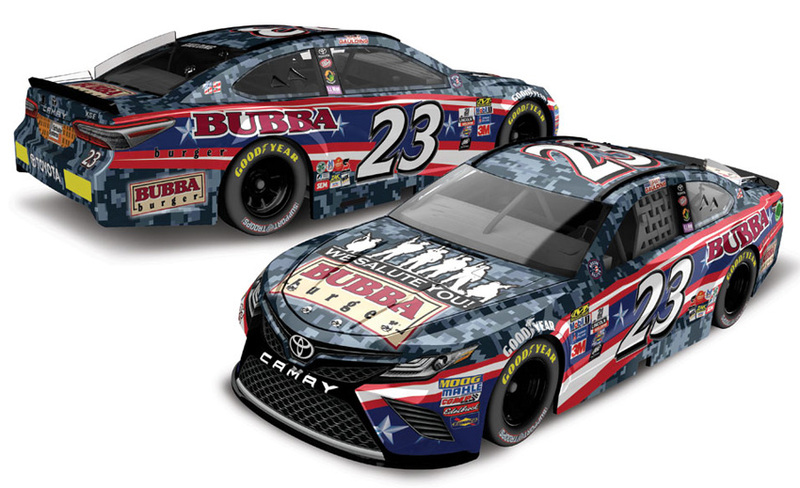 2017 Gray Gaulding #23 BUBBA burger Salutes / Toyota Camry NASCAR diecast, by Action. 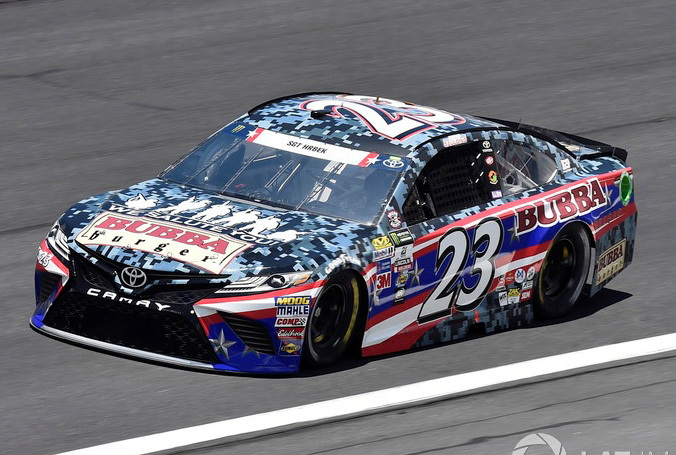 The BK Racing #23 BUBBA burger Salutes Toyota was raced by Gray Gaulding in the Monster Energy NASCAR Cup, Coca-Cola 600 at Charlotte Motor Speedway on May 28, 2017.